Kuruva Island (Kuruva Dweep in malyalam) is nature at its best. A cluster of islands, streams, bamboo groves, mini forests......there is enough reason why Kuruva Island is one of the most sought after destinations in Wayanad. We could safely add a few monkeys, birds and butterflies to get the equation right. 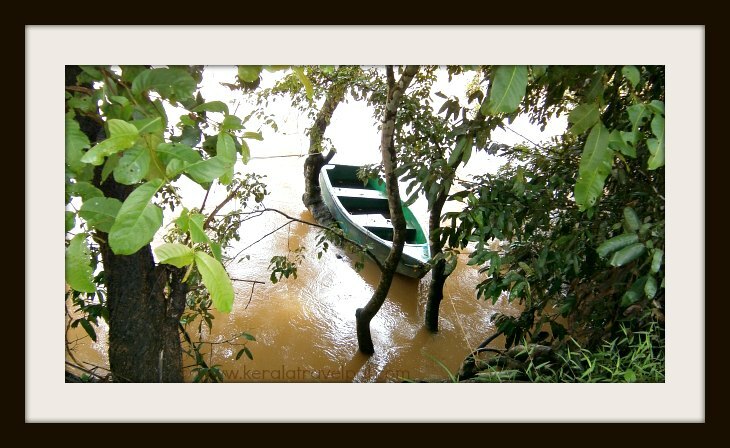 Kabani, the major river of Wayanad, divides here into two branches only to rejoin soon afterwards. Call it a delta, an island or whatever, the fact is that the triangular land enclosed in between is quite impressive. It spreads over 950 acres or roughly 4 sq kms. To reach the Island, the river has to be crossed. Bamboo rafts and small boats take people across. You may have the question – what is there to do once reach inside the island? Absolutely nothing. Just plain walking, being one with nature, that is all. And guess what, a brief trip may take a couple of hours the least. Expect a long walk, several kilometres, sometimes even without realising it! Even in midsummer, it is cool here because of the thick shade everywhere. Also expect to get wet and dirty, as there are several small streams passing through here and there. Also there are also marshy areas. The island is managed by the Tourism Department. They have been wise in involving locals for a better outcome. The tourism office sells the entry tickets. The prices are nominal. In addition to usual tickets, they also sell trekking trips. Half a day treks are designed to take groups of five to tiny islets across small rivulets. They also arrange guides. You can see the island without a guide. Instead, if you take a guide, they will show you far more which you are otherwise going to miss. They can also pass some info about the native plants, the tribal people, their life style and more. If you are getting a guide make sure to visit the paddy fields and tribal village. There is a small temple too. If season is right, you will see ginger cultivated extensively in the surrounding areas. You won’t get lost in the island, but there is a chance of struggling to get back or having a lost feeling. The island is in the shape of a long triangle. It is easy to walk across. Walking by the side of the river means walking by the periphery and it is going to take a long time. The island does not have direction signs, so get the geography of the island in your head from the map display near the tourism office. The island closes by 5, so they recommend a return time of around 4.30 PM. Kuruva Island is closed during peak rainy season, from June till September. During that time, it is not safe to cross the river. The island is open to visitors during October till May. If your travel falls in September- October, check in advance if they have reopened. Visitors are permitted inside from 9 AM till 5 PM. Tree top huts are available for rent in the Island. They are tiny and just only sleeping spots. Better to know what is on offer and what the amenities are before booking. There are several home stays in the region. There are also a few resorts scattered here and there. 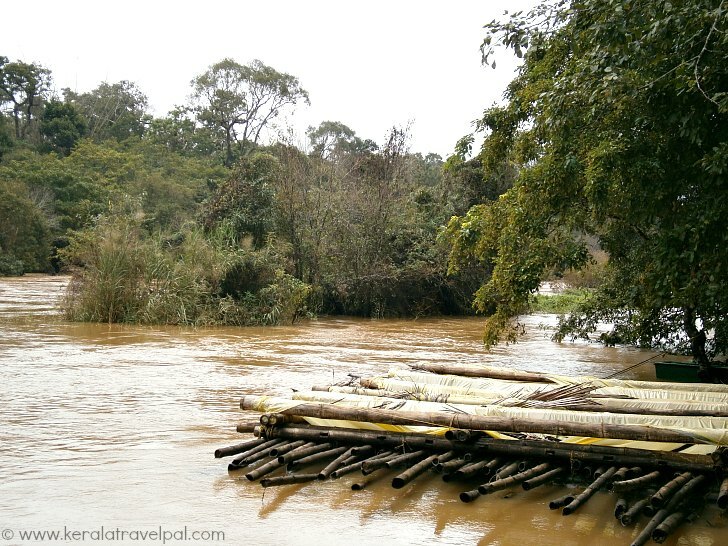 If you are visiting several tourist spots in Wayanad, it may be better to stay at Kalpetta (40 Kms). It is the largest town and has some decent accommodation. The other choice is Mananthavady, and that is the place to stay, if you are targeting North Wayanad. Kuruva Island is 17 kms east of Manathavady. Pulpalli, 10 kms away, is the nearest small town. The only way to reach here is by road. From Calicut, best to arrive at Kalpetta and from there to Kuruva Island. Wayanad has no railway or airport. The nearest rail head at Kozhikode is about 120 kms. Nearest towns : Mananthavady at 17 kms, Kalpetta at 40 kms. Bus Station : Mananthavady Bus Station at 17 Kms. Taxi/ Auto-rikshaw Hire : Mananthavady Town at 17 Kms. Railway Station : No rail access to Wayanad District. Nearest Railway Station is Kozhikode at 120 Kms. Air port : Kozhikode Int’l Airport (CCJ) at 145 Kms. Food Options : Restaurants at Manathavady. Accommodation Options : Tree house in the Island. A few home stays and resorts around Kuruva. Lodges and hotels in Mananthavady and Kalpetta towns. Best time to visit : October to May. The Island is closed during Jun – September. Nearby Attractions : Chembra peak, Edakkal Caves, Soochippara waterfall, Kanthanpara waterfall, Kalpetta town (shopping & food), Banasur Sagar Dam, Jain Temple, Muthanga Sanctuary, Tholpetty Sanctuary, Pakshipathalam, Pookote Lake, Pazhassi Monument, Chethalayam waterfall, Karalad Lake, Meenmutty falls and Thirunelli Temple.